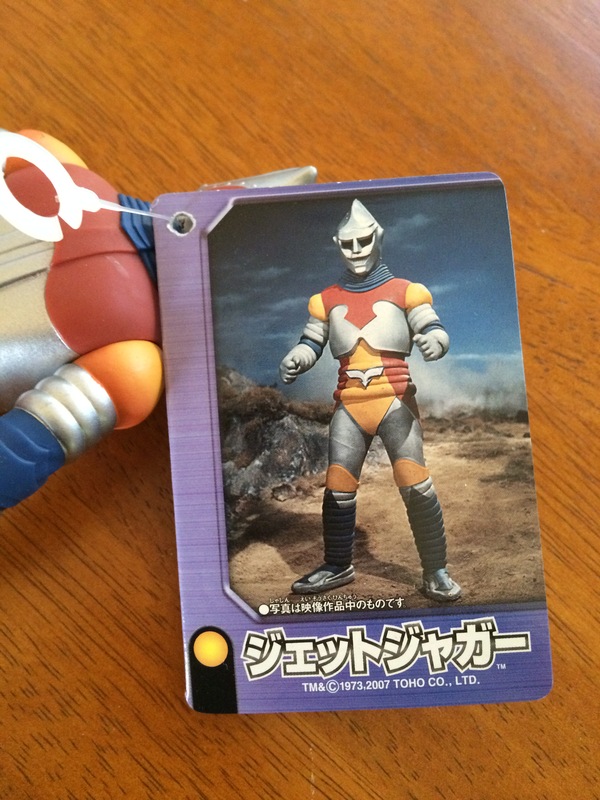 Comes in excellent condition with his original tag in tact, this fan favorite robot will make you sing his iconic theme song. 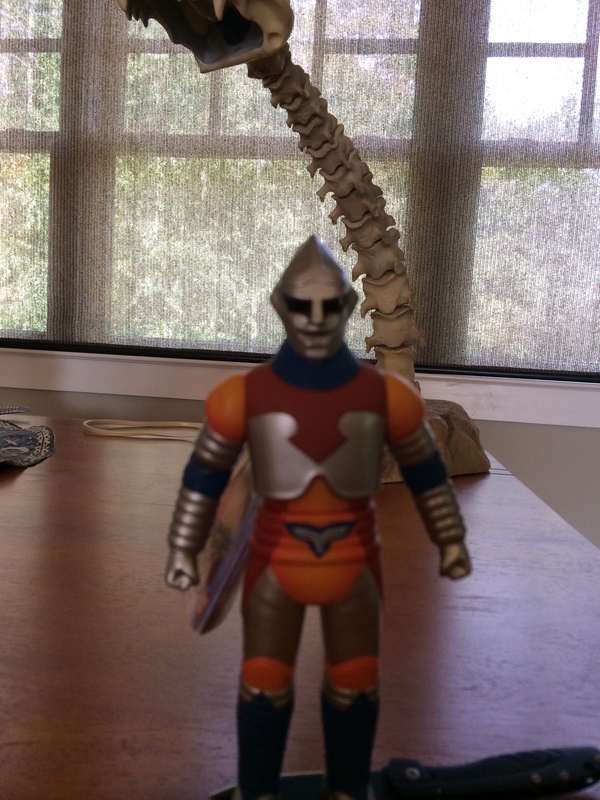 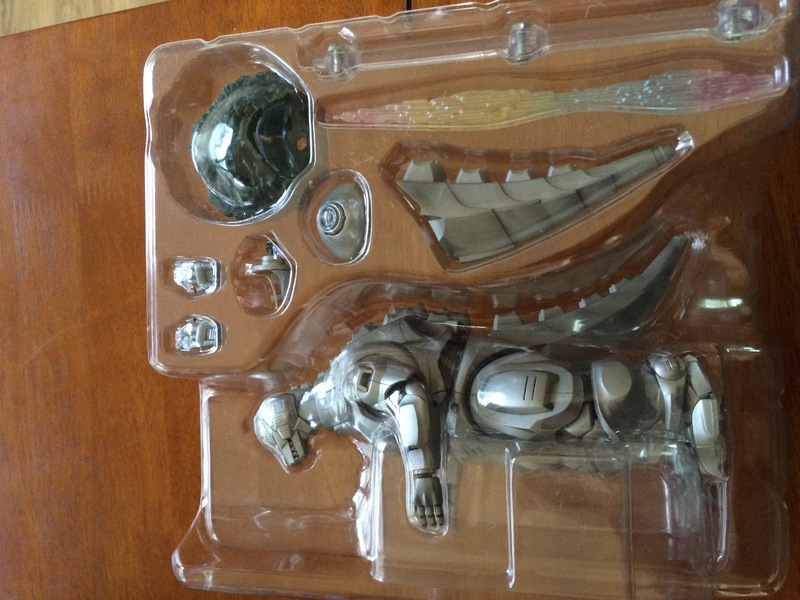 Only $40 for the amazing Jet Jaguar. 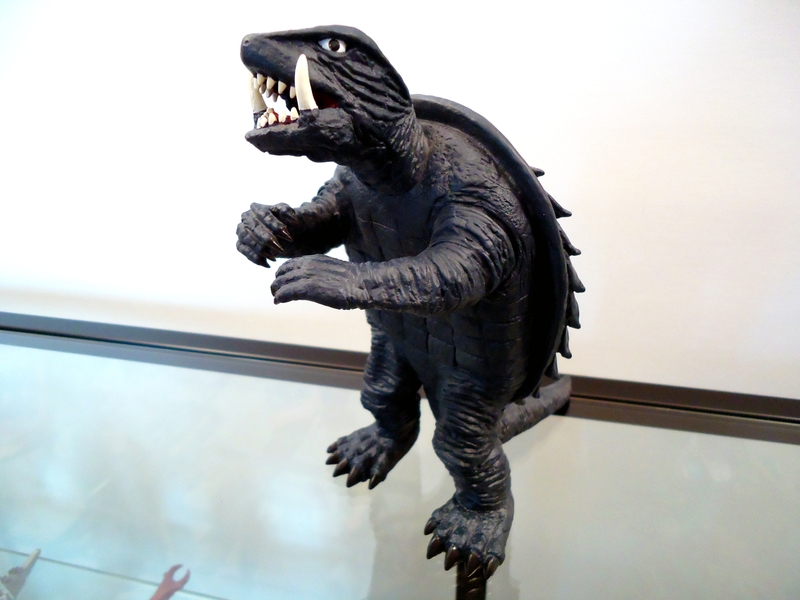 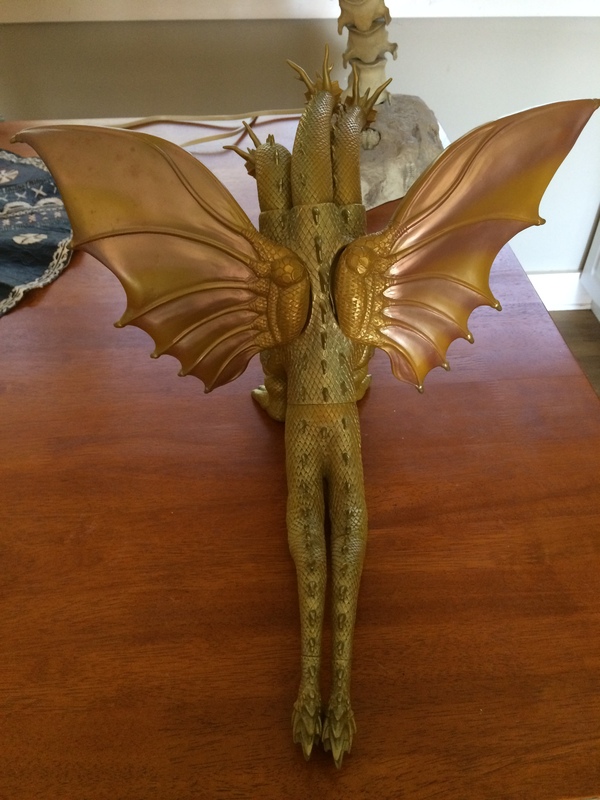 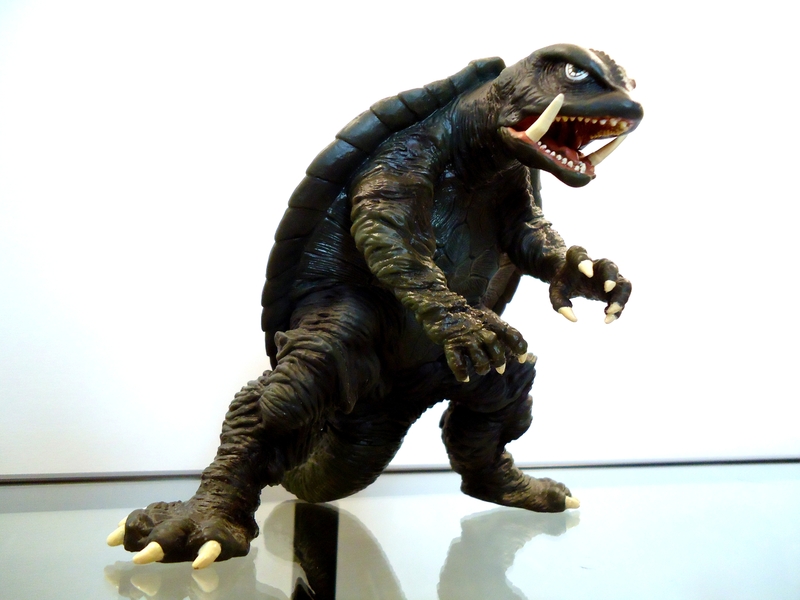 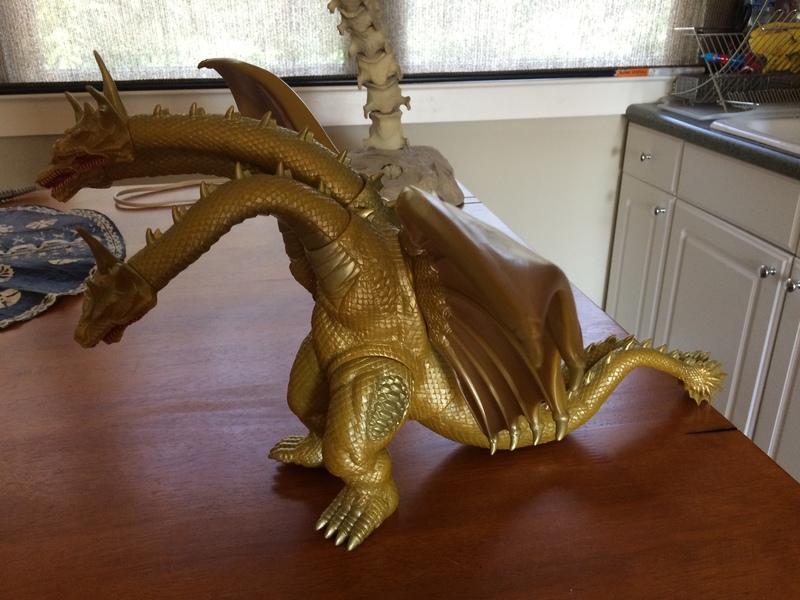 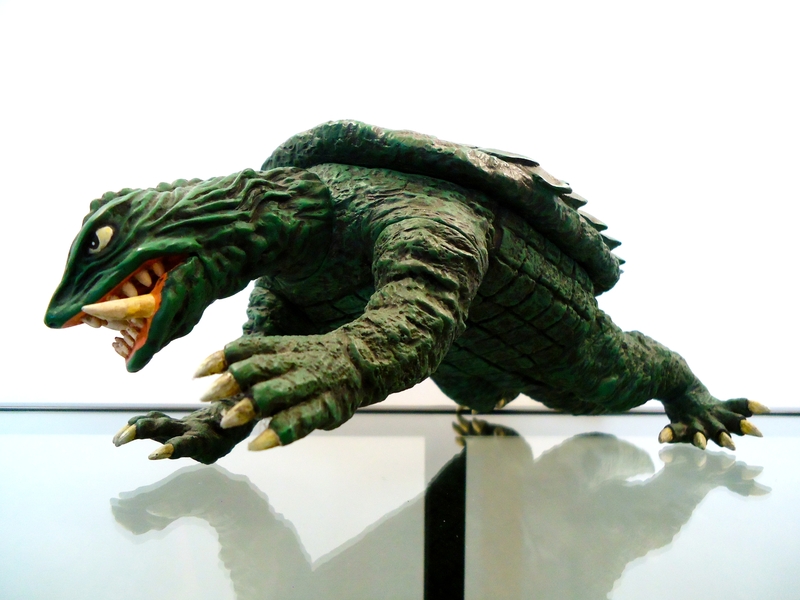 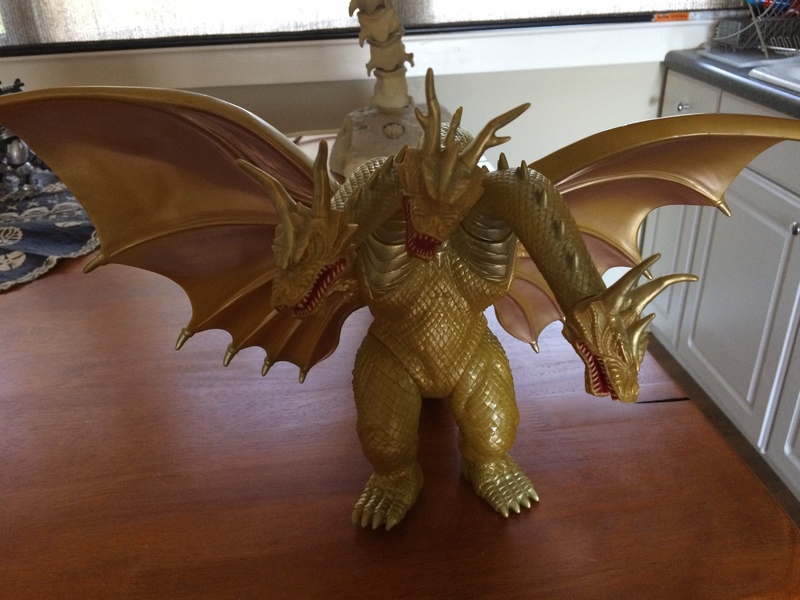 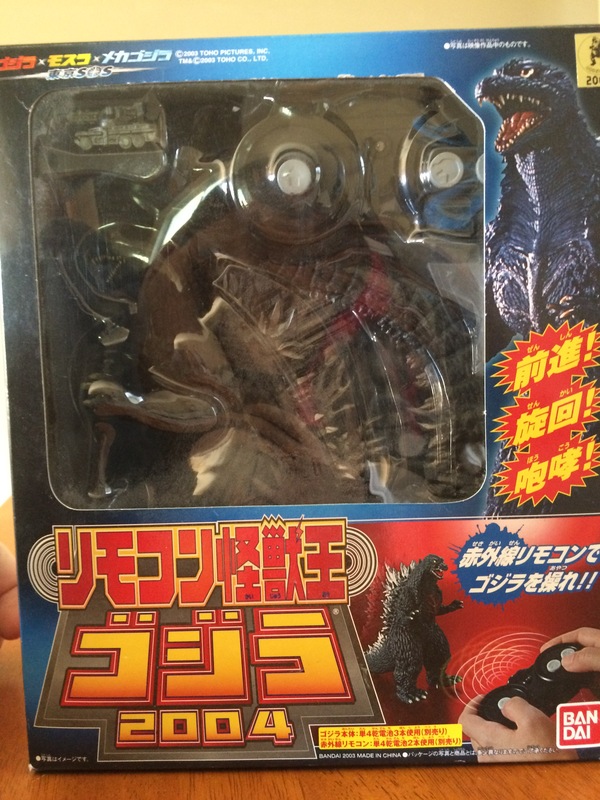 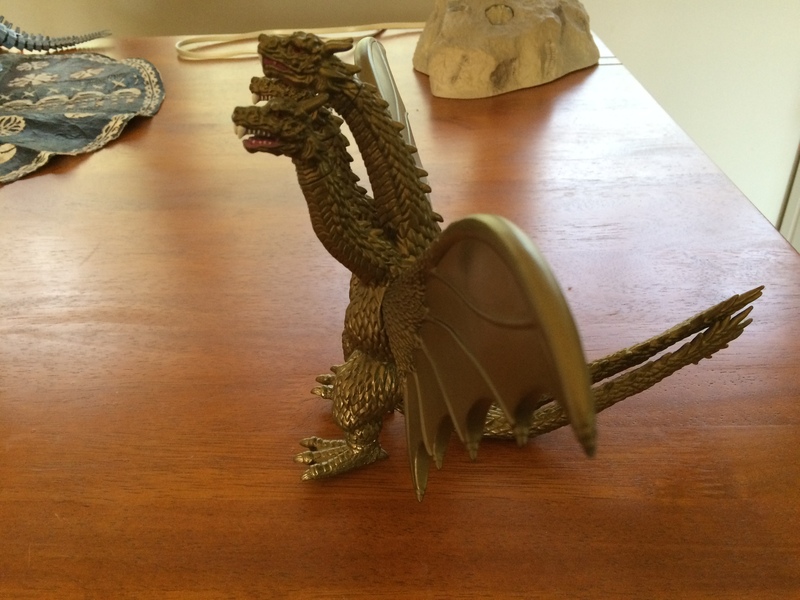 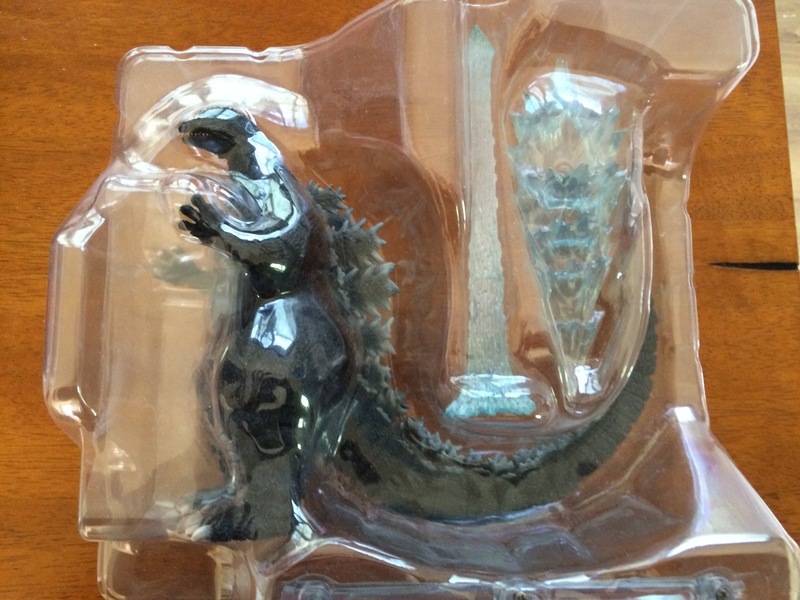 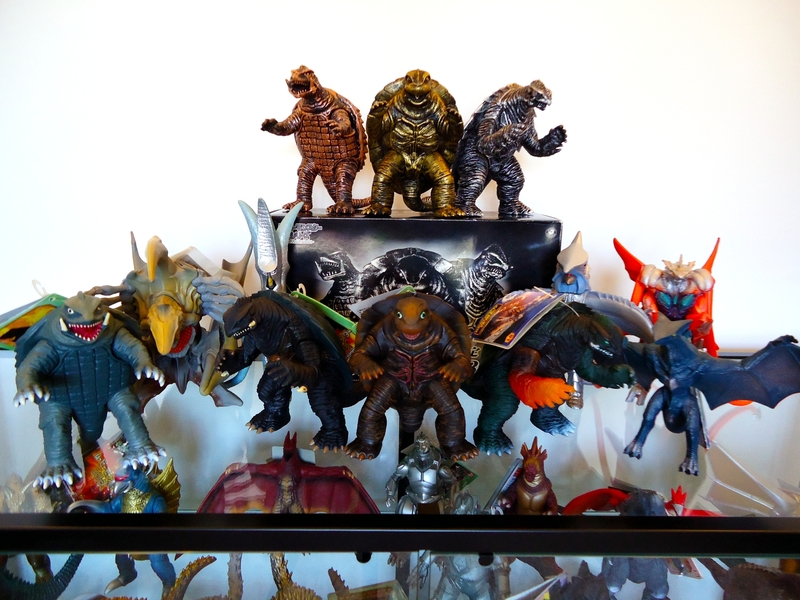 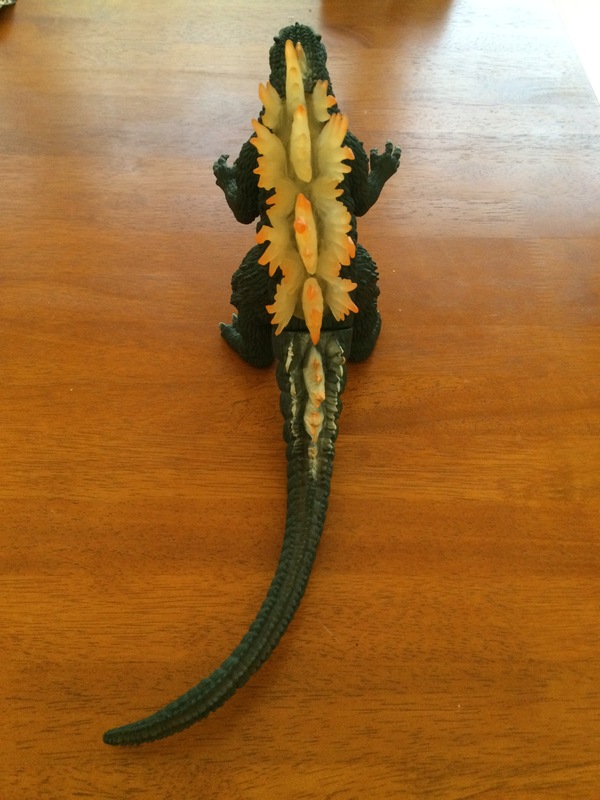 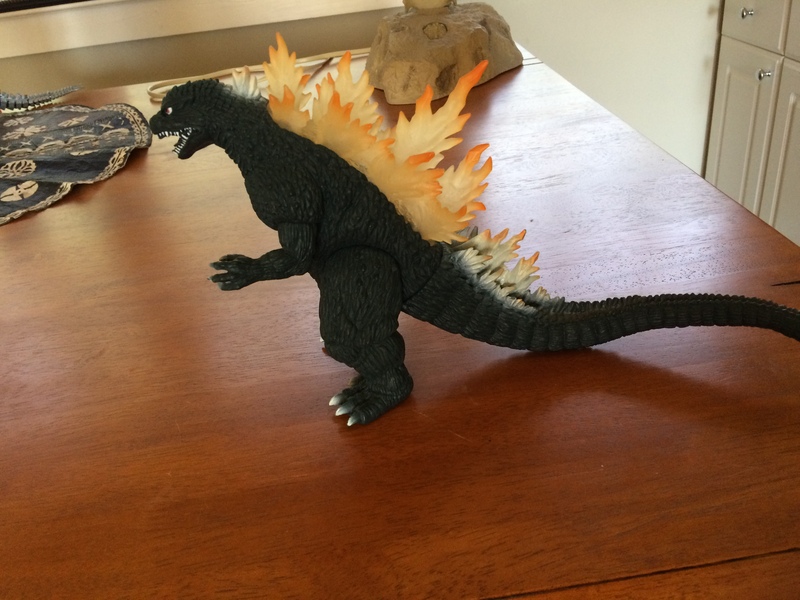 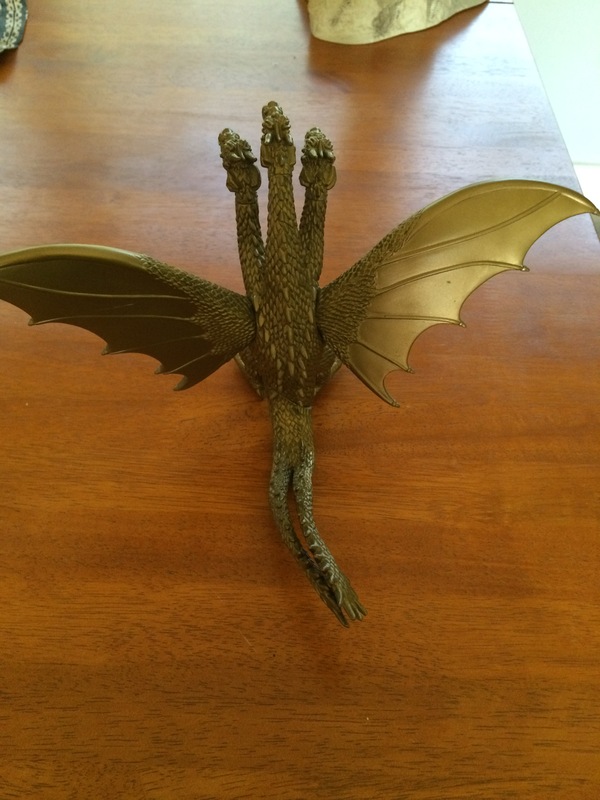 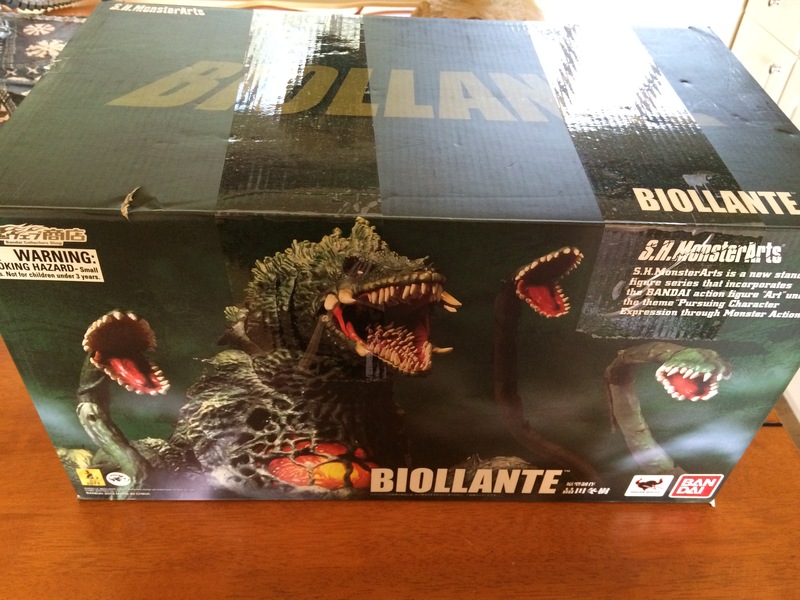 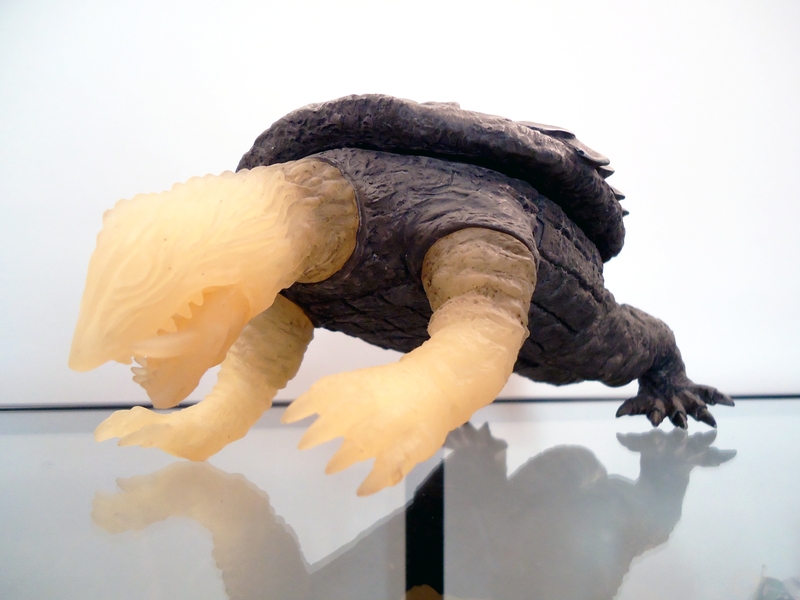 Collection of 12 Vinyl Bandai Gamera Figures! 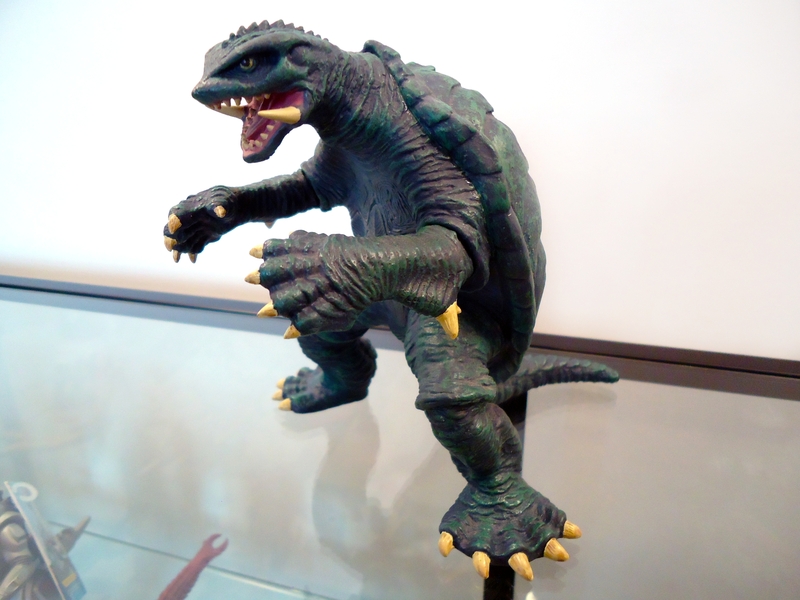 Here’s a 12 figure lot of Gamera figures that I’ve had in my collection for a good long while. 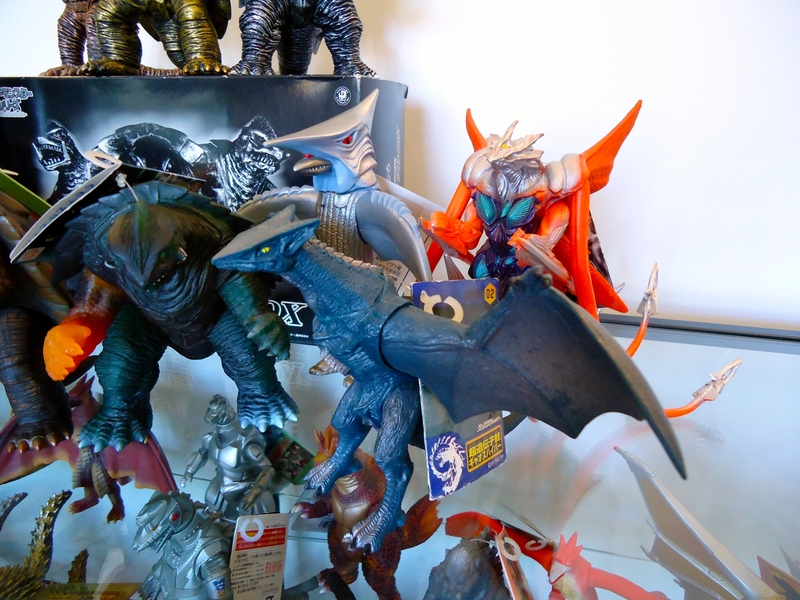 All figures have been well taken care of, come complete with their respective tags still attached, and have rested inside of a glass cabinet ever since I’ve owned them. 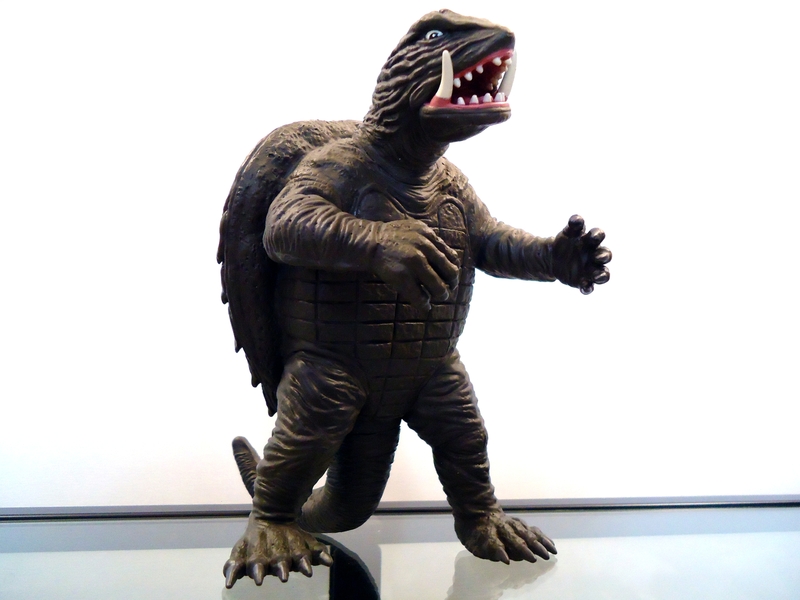 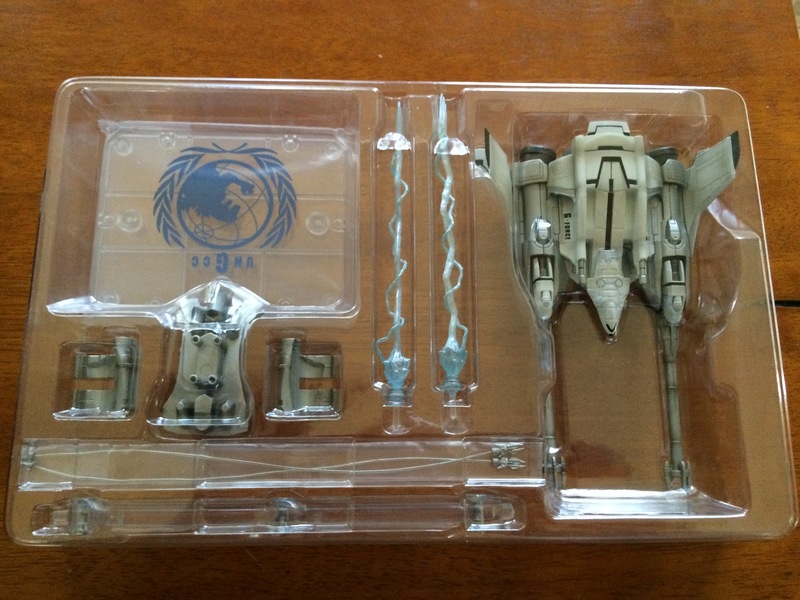 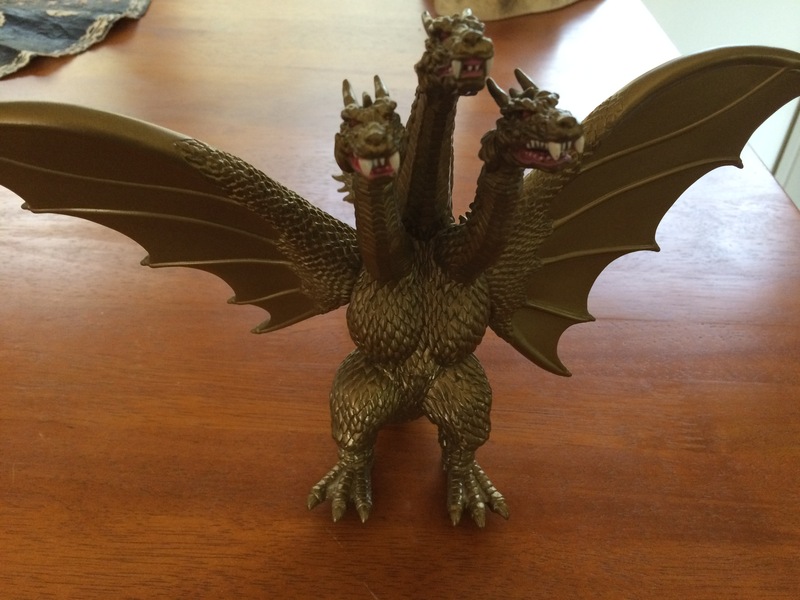 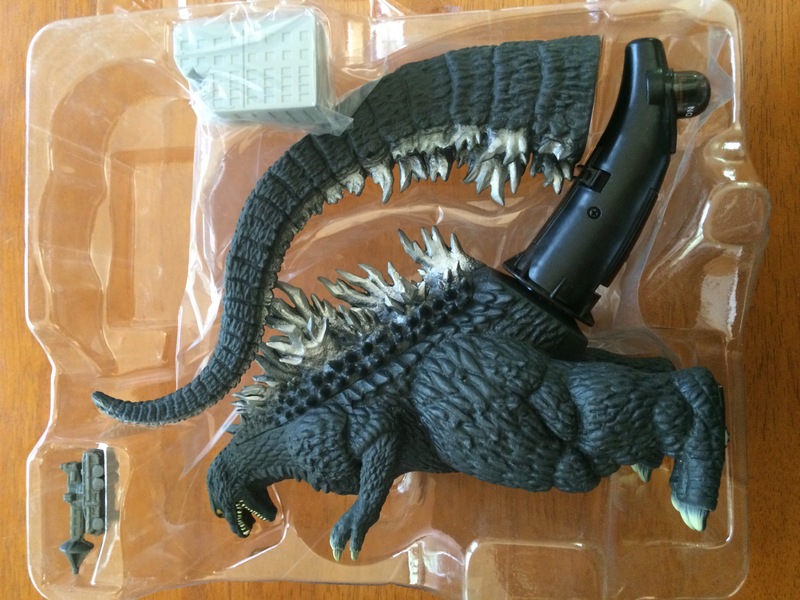 Please note that the gold, silver, and bronze colored Gamera figures were not meant to have tags. 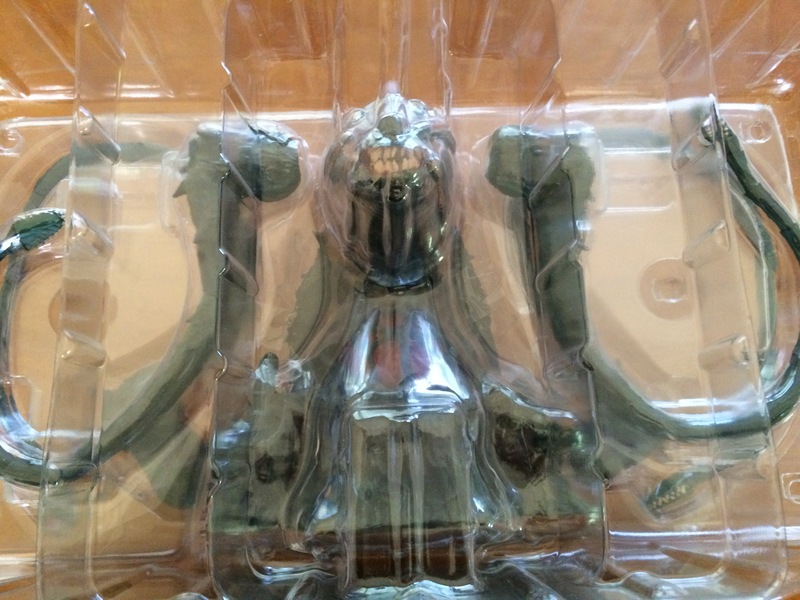 They were a boxed 3 pack, and the box they are sitting on is the same box they originally came in. 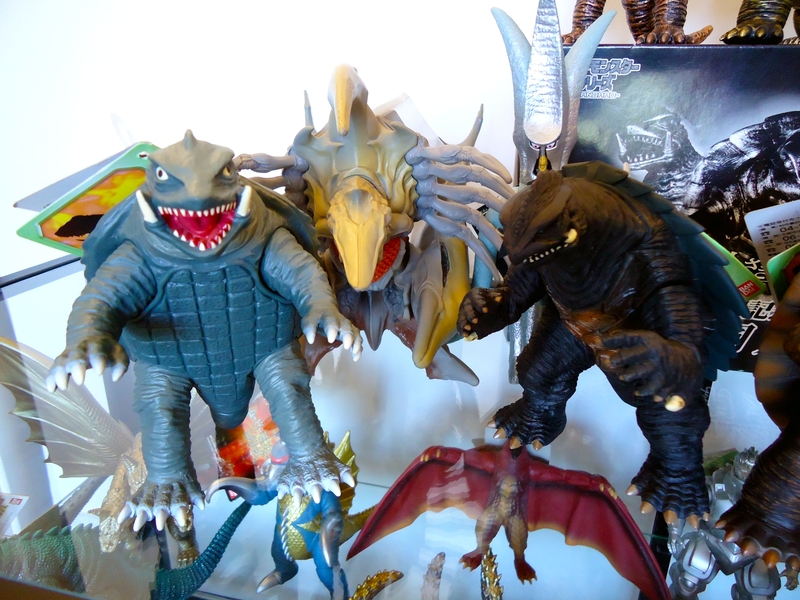 I would like to sell these figures as a set, since I also have these figures listed on eBay, however I would be willing to separate the figures should the kaiju fans here show more interest in purchasing these individually. 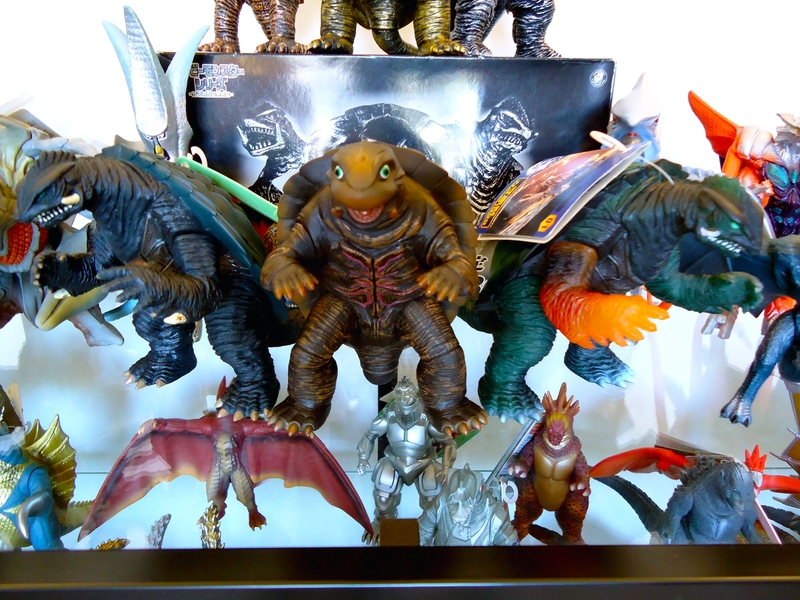 Here is a rundown of the 12 figures in this collection. 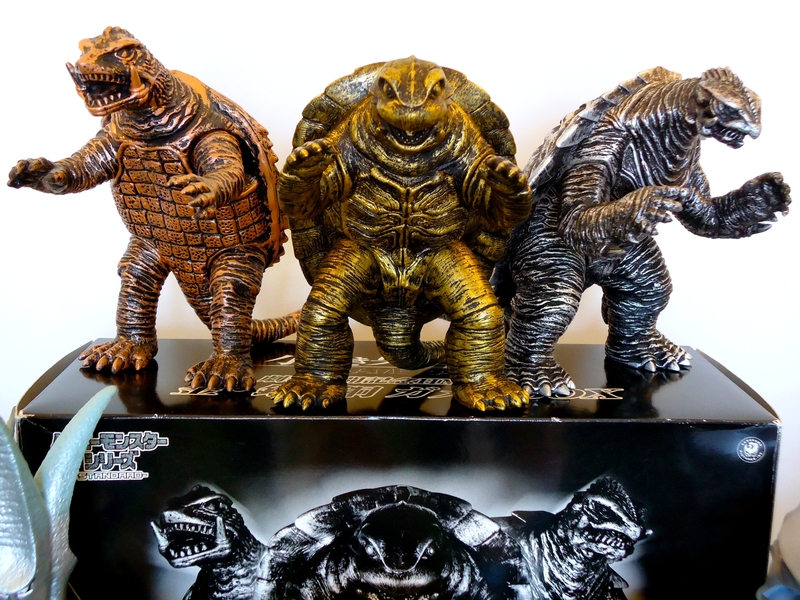 HMV Gamera Box Set featuring a bronze Showa Gamera, a silver Gamera III, and Gold Gamera the Brave! 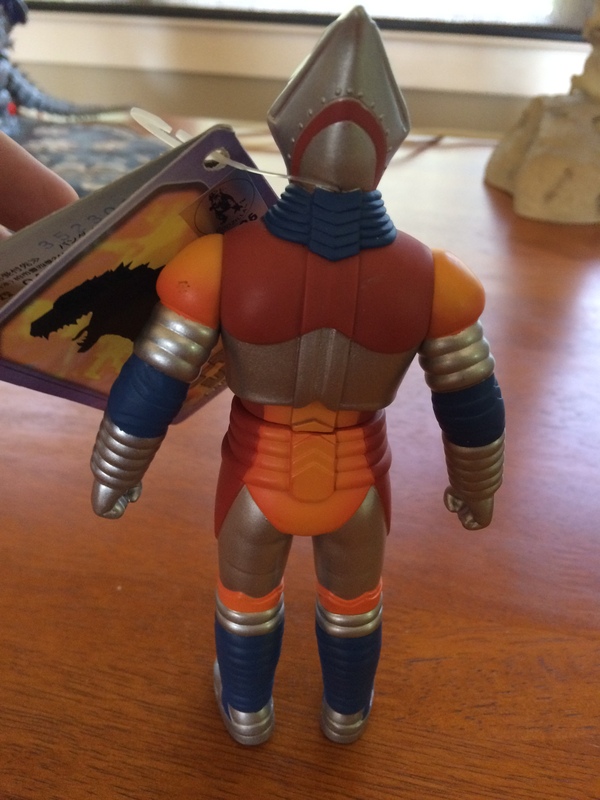 From one of the first wave Bandai Creation set, been kept in great care. 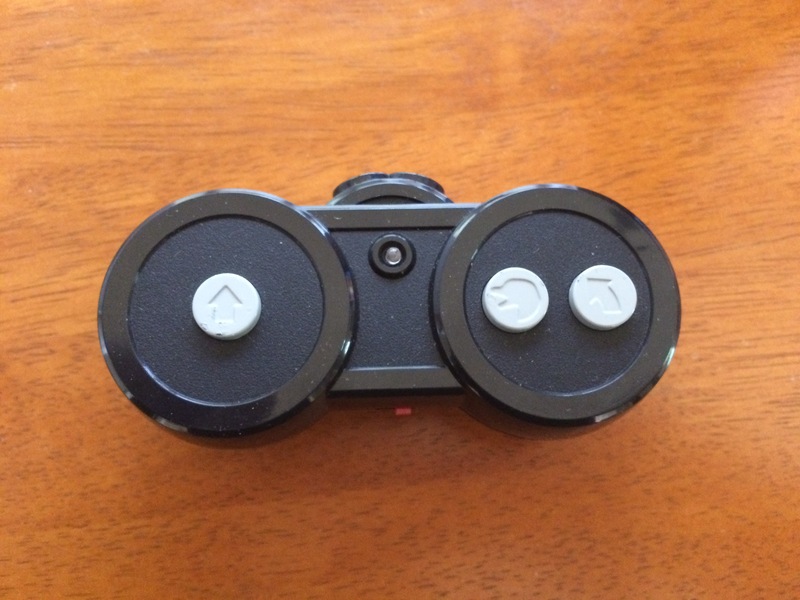 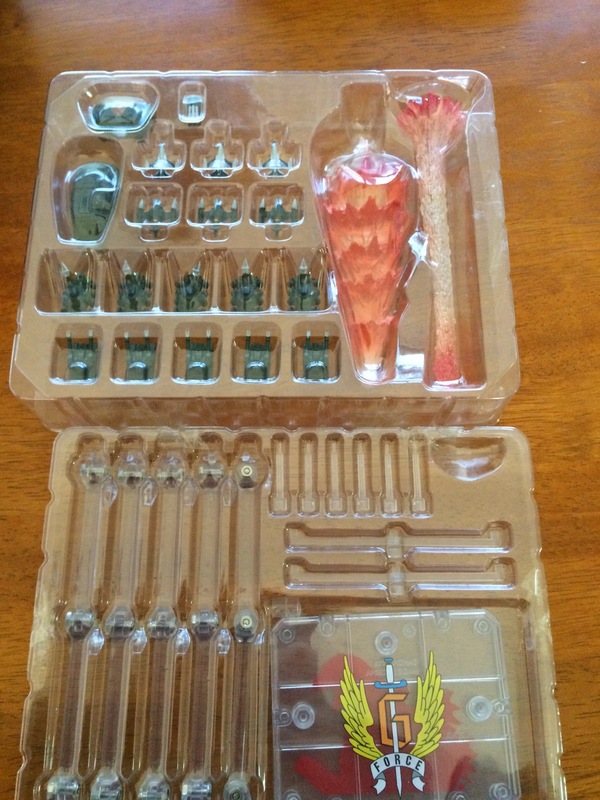 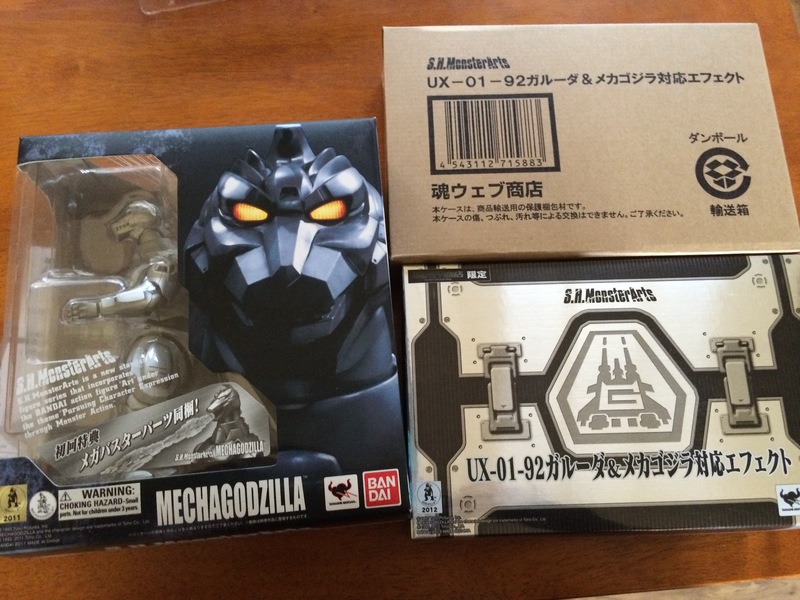 Doesn’t have the original box that came with it, so just for sale for only $18. 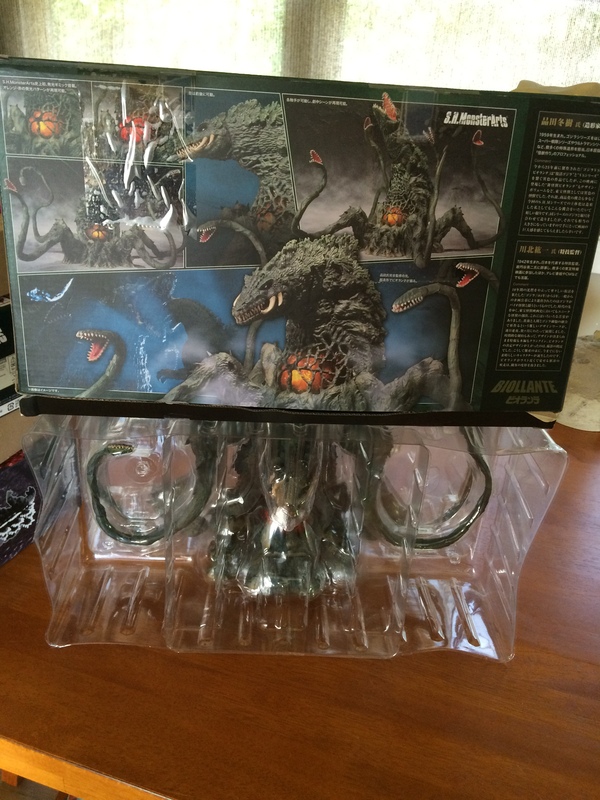 Well taken care of in great condition, all come with original box and accessories. 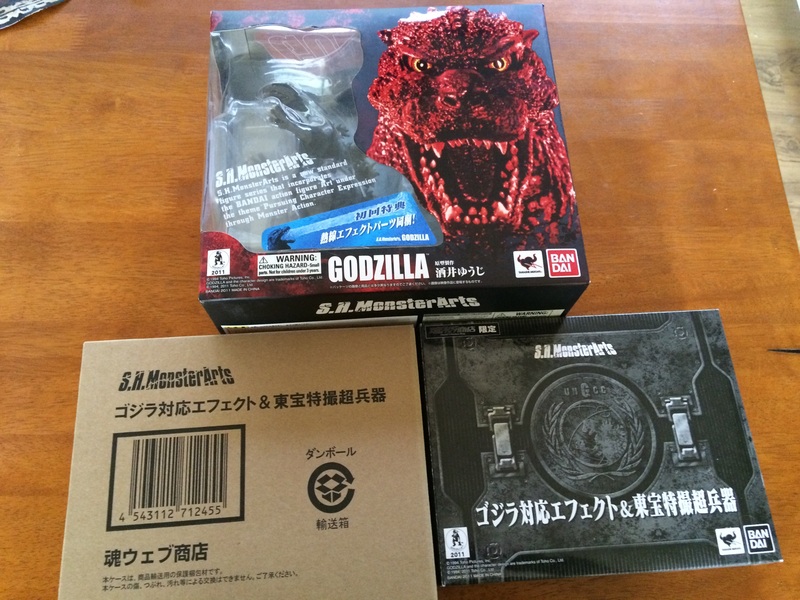 Bundled for $125 or separately for only $75 for Godzilla and $60 for the Effect Pack. 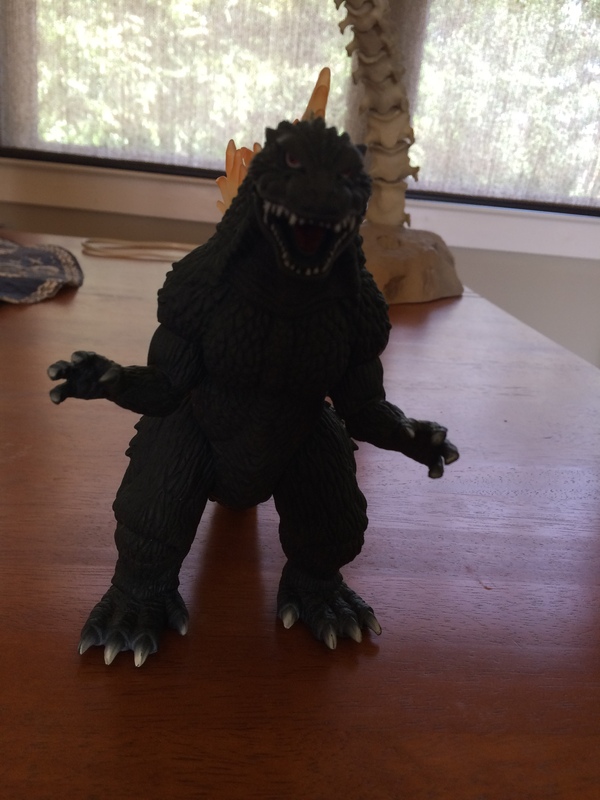 UPDATE: The Effect Pack is sold, Godzilla is still available for purchase.